Great at cleaning glazed ceramic tile, grout, toilets and fiberglass. Kills staph, strep and athlete’s foot fungus. 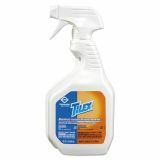 Tilex Disinfects Instant Mildew Remover, 32oz Smart Tube Spray - Tilex Disinfects Instant Mildew Remover cleans mildew stains without scrubbing and whitens tiles as you spray. 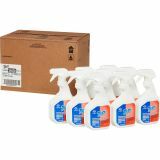 It removes and destroys mold spores. It cleans tiles, grout, toilets and fiberglass. 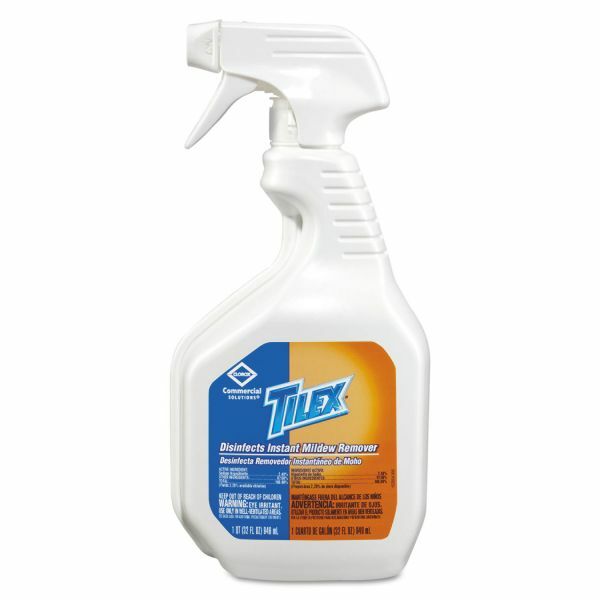 Using the power of bleach, Tilex Disinfects Instant Mildew Remover disinfects and kills 99.9 percent germs. 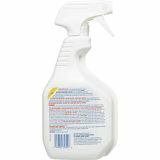 From Clorox Commercial Solutions, this mildew remover is ideal for offices, daycare centers, schools, restaurants and other commercial facilities. Spray every drop with Smart Tube technology that reaches to the very bottom of the bottle. Also can be used outdoors.